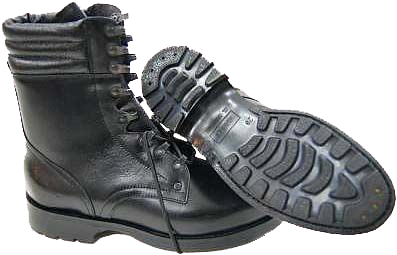 "Protektor SA" footwear company from Lublin is the main developer and manufacturer of the 919/MON model Polish army boots. 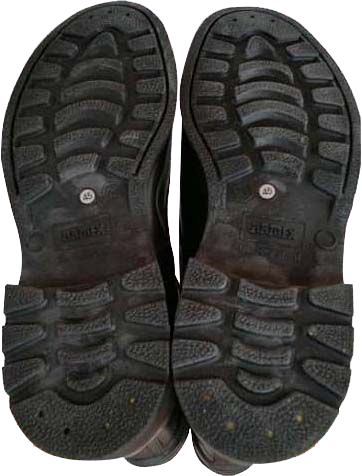 The city and producer of certain pair of army boots are usually indicated on the boots out-soles. 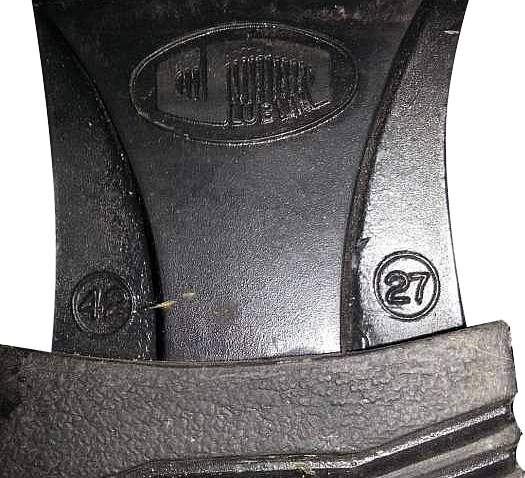 Among the other manufacturers of these boots one should name "Spóldzielnia Pracy Wyrobów Skórzanych im. 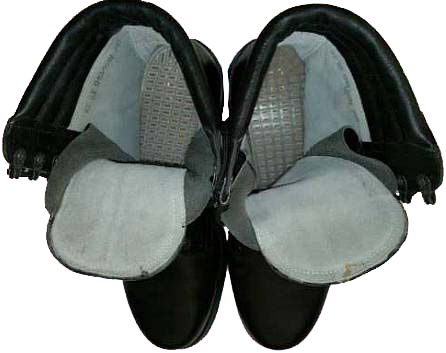 Jana Kilińskiego" ("Cooperative for the production of leather goods, named after Jan Kilińsky", and the companies "Demar", "Wojas", "Gdynia" and "Armex", which use the out-soles, made by "Protektor SA" (the developer of these boots), or their own-designed out-soles. 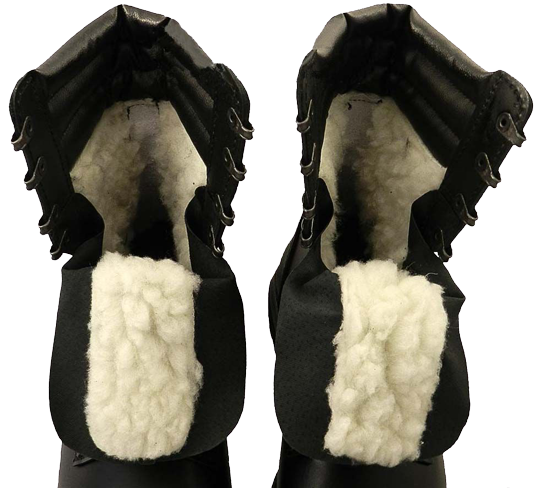 The cost of a pair of 919/MON boots in Poland is about 180 zlotyh (that is equal to 43 Euros). The development of military liaisons between Poland and NATO countries has become very intensive after 1989. Since then, the country, in the capital of which the Warsaw Pact was signed, has become one of the most active participants in almost all the military operations of the Western world. Already on November 22, 1990 the Polish military contingent ("Polski Kontyngent Wojskowy w składzie Wielonarodowych Sił w rejonie Zatoki Perskiej") was formed as a part of the International Forces in the Persian Gulf, and took part in the war against Iraq in early 1991. Since 1994, Poland cooperated with NATO in the framework of the "Partnership for Peace" program, and, finally, on March 12, 1999 Poland joined the NATO. 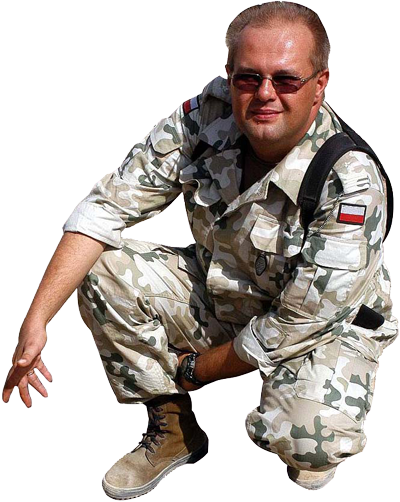 In the same year the Polish soldiers actively participated in the operations in Kosovo and Metohija (KFOR), then they acted as a part of the UN Peacekeeping Forces in Southern Lebanon. After the collapse of the Warsaw Pact, Poland became focused not so much on the countries of the so-called "old Europe" (Germany, France etc...), but on the United States and did everything to prove itself as "the most faithful of all the American allies". So the military contingent of Poland took active participation of in the American operations in Afghanistan (in March 2002) and in Iraq (from spring 2003). These wars have demanded the introduction of the appropriate clothing, footwear and equipment. The famous Polish "honour" (which sometimes "borders" with superciliousness) and traditionally high self-esteem didn't tolerate the idea of using the ready equipment of any other country, in contrast to such countries as Austria or the Netherlands, which easily allowed using pieces of foreign uniform and equipment during the overseas operations. 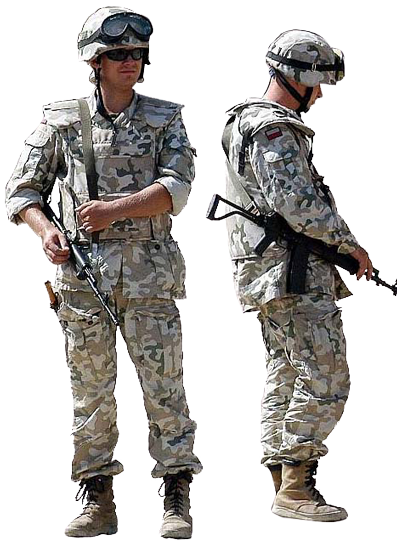 So, in a short time Poland launched the production of own-developed and made "desert" uniforms and footwear.